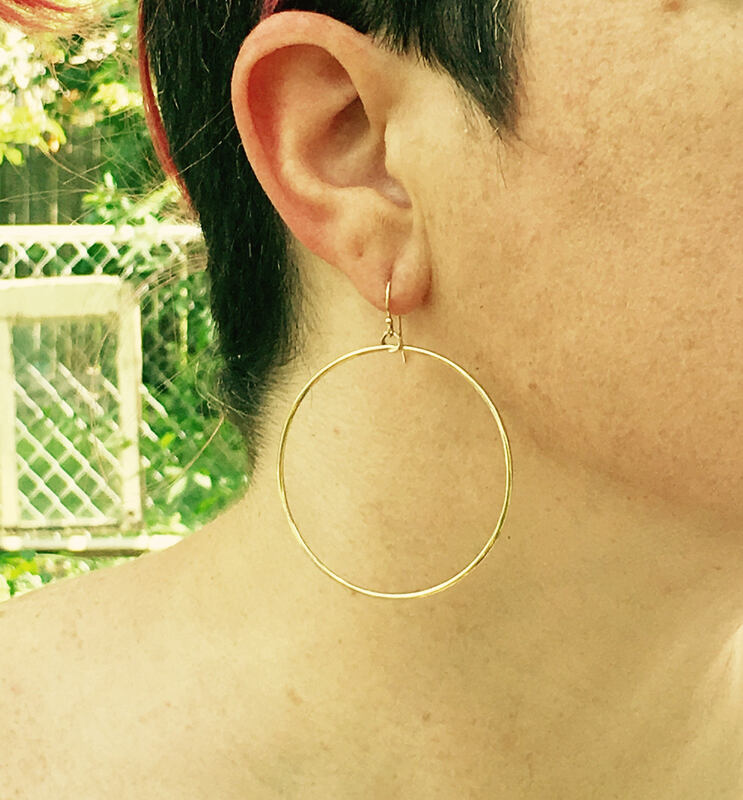 Hoop earrings are just a mainstay in my earring rotation. But I've never made or owned any gold hoops. 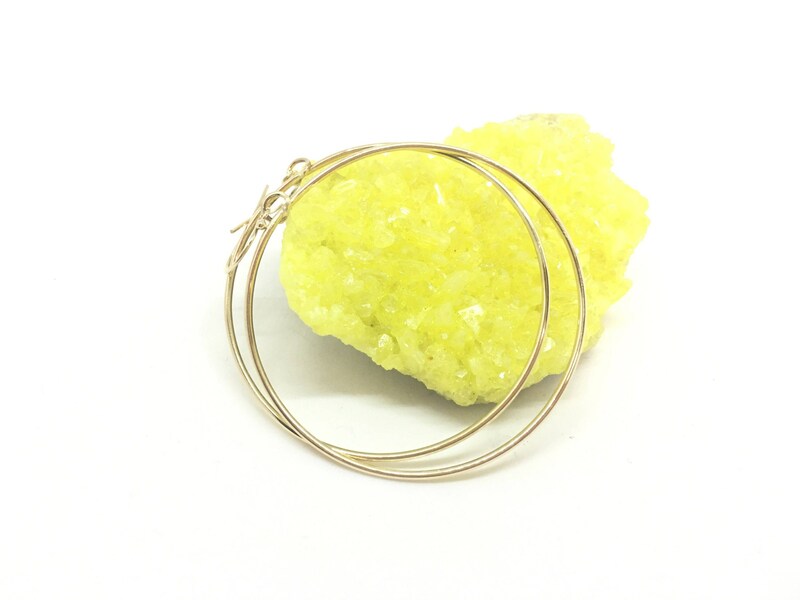 So I recently decided that I would make a pair of 14k gold hoops just like the Sterling version I make - voila! Exactly what I wanted!!! Comfortable, easy to wear, and they make a statement! And choose from yellow gold, pink gold, or white gold. 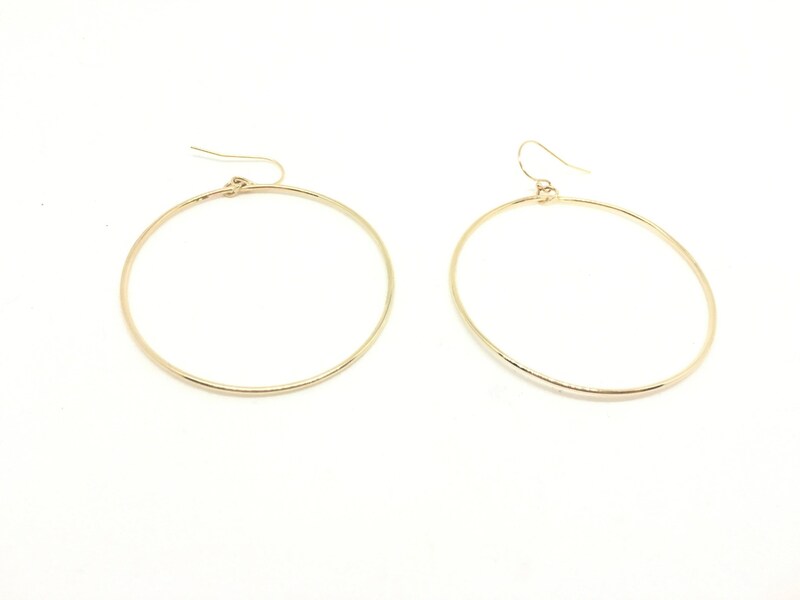 Pictured on are the medium hoops, measuring just under 2in. across (6in around). 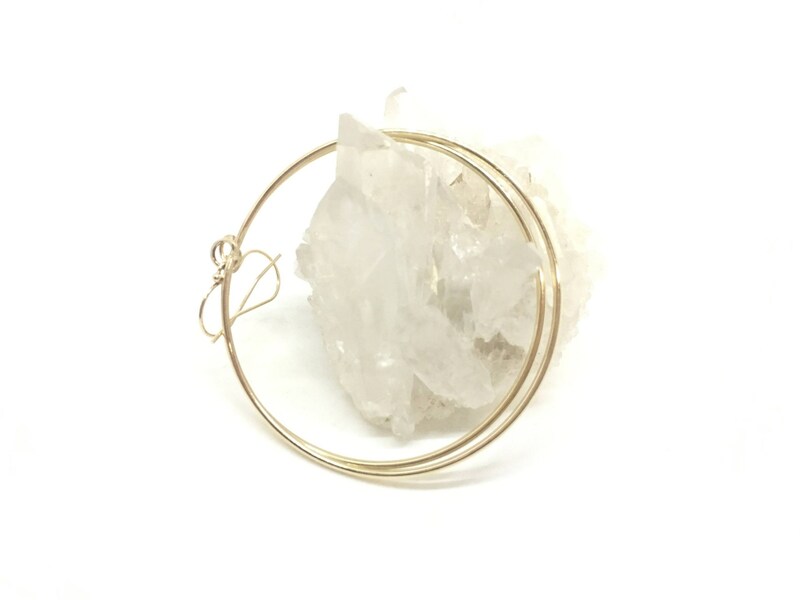 These earrings are made of solid 14k gold and hang on 14k gold earwires.